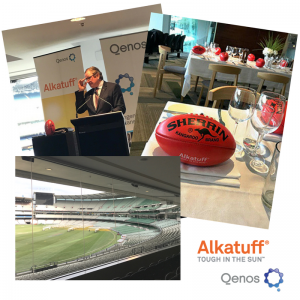 The Qenos Alkatuff team were thrilled to have been a proud sponsor of the exclusive MCG luncheon at this year’s 2017 Rotomould Conference in Melbourne. 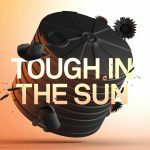 The annual conference is a great opportunity to catch up with customers, colleagues and industry contacts over the two days of the event. Event organisers – the Association of Rotational Moulders of Australiasia (ARMA) – have over forty years of industry knowledge and the annual conference is a valued event for the Australiasian rotational moulding industry, giving practitioners the opportunity for great networking, learning, market insights and of course, fun! Qenos’ Alkatuff were thrilled to sponsor the conference Luncheon, which was held on the second day of the conference. Hosted at the MCG, the lunch was a great break from the conference, with a behind the scenes tour of the ground, great food and wine and of course, a view overlooking the spectacular MCG. We were thrilled that Kevin Sheedy accepted our invitation to speak at the luncheon. 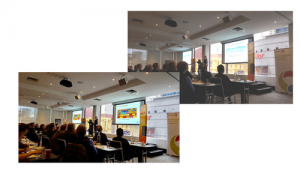 As a former Australian Rules coach – coaching the Essendon Bombers in 634 games and the Greater Western Sydney Giants in 44 games – delegates enjoyed some fantastic insights from this Australian legend and were thrilled to be given an opportunity to ask the man any question they wanted. 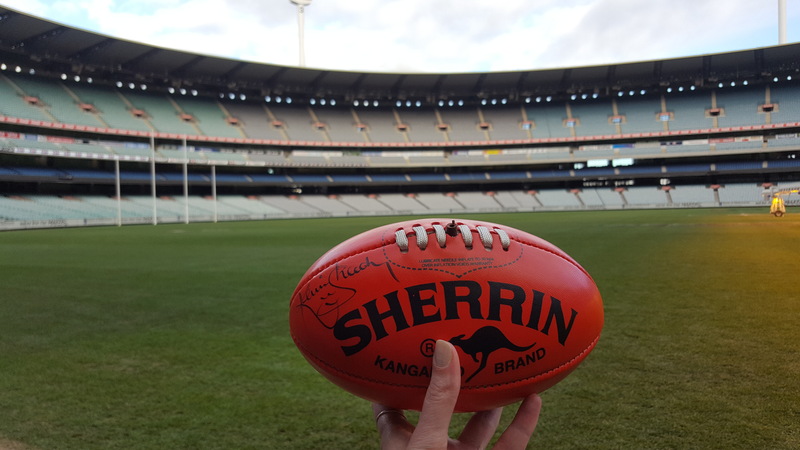 The Sherrin Alktatuff balls were also a great hit! Qenos Senior Technical Specialist, Garry Whitehand, was asked to present a session within the conference program. His session – What a Difference a Bit of Colour Makes! – looked at some of the common pigments used in rotational moulding and how they alter the behaviour of polyethylene. Garry’s presentation aimed to shed some light on why certain colours behave they way they do.